Nonprofits are working to combat obesity in Southwest Colorado by providing more fresh produce to low-income residents. 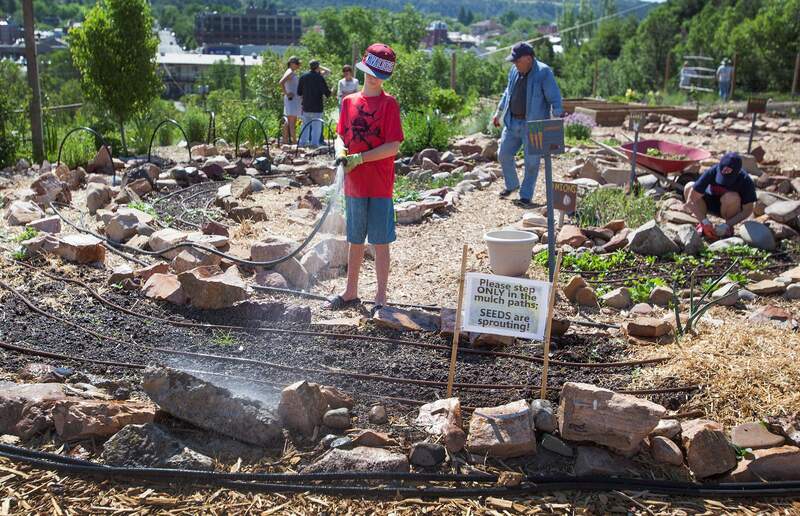 For example, The Garden Project of Southwest Colorado runs a garden at Manna, Durango’s soup kitchen, that provides produce for the kitchen and food for residents in need to take home. Too much fat and sugar may be catching up with residents in La Plata and Montezuma counties, causing obesity rates to rise slowly but steadily, a report by County Health Rankings found. About 17 percent of adults in La Plata County are obese, up from 13 percent in 2005. In Montezuma County, 24 percent of adults are obese, an increase from 17 percent in 2005, the report funded by the Robert Wood Johnson Foundation found. Across Colorado, about 20 percent of adults are obese. Adults with a body mass index of greater than 30 are classified as obese and are at a greater risk for many health conditions, such as heart disease, stroke and mental illness, according to the Centers for Disease Control and Prevention. Obesity is on the rise, in part, because many people are “cost-conscious convenience eaters,” and foods high in fat and sugar are cheap and widely available, said Rachel Landis, executive director of The Good Food Collective. The collective works to encourage the production and consumption of healthful foods regionally. “Cooking takes a lot of time, a lot of skill and a lot of knowledge,” she said. Low-income residents can also struggle with their diets because food banks often carry primarily processed food, she said. The Good Food Collective, The Garden Project of the Southwest and other nonprofits are working to address this problem in the region by ensuring families in need have more options. In 2018, The Garden Project provided 950 pounds of free produce to families through a market at the Roberta Shirley Head Start Center, said Lexie Stetson-Lee, executive director of The Garden Project, in an email to The Durango Herald. A market at Manna, Durango’s soup kitchen, distributed 7,600 pounds of free produce last year, she said. The Good Food Collective plans to provide more fresh produce to food pantries in Montezuma County this year through a partnership with a private donor and a young farmer. The farmer plans to supply pantries with produce from a 3-acre farm on Road G near Mancos, she said. The collective is also interested in expanding storage for produce, which could allow food pantries to use locally grown vegetables year-round, she said. For example, existing root cellars could potentially provide low-cost storage, she said. The Montezuma School to Farm Project is addressing obesity by teaching students gardening and cooking skills, said Gretchen Rank, executive director of the nonprofit. “It also gives them the opportunity to taste things that they might not see in their day-to-day life,” she said. The nonprofit works with about 2,800 students annually in six school gardens across Montezuma County’s three school districts, she said. Working in the gardens has helped students to eat more of the vegetables served at lunch and inspired parents to start gardens at their homes as well, Rank said. In time, she believes the school gardens and the education they provide can help bring down the rate of obesity in the county, she said. “Prescriptions” for healthful food from doctors can also help residents eat healthier, Landis said. For example, in Montrose and Olathe, residents are receiving prescriptions for nutritional education and federal benefits that can be used to purchase food at local farmers markets through the Local Farmacy Rx program, she said. It’s important to combine cooking education and access to healthful food for residents to make lasting changes in their diets, she said. “It’s very rare that there is direct behavioral change or enduring impact,” she said.